Look what Thomas found in the bottoms yesterday! He showed up with a hat full of morel mushrooms. If you don’t know anything about these very rare mushrooms, well, that’s probably because, as I said, they’re very rare. However, during certain and very particular weather conditions in the spring, they pop out of the ground, sometimes with others, sometimes alone. Personally, I think they’re really hard to spot. 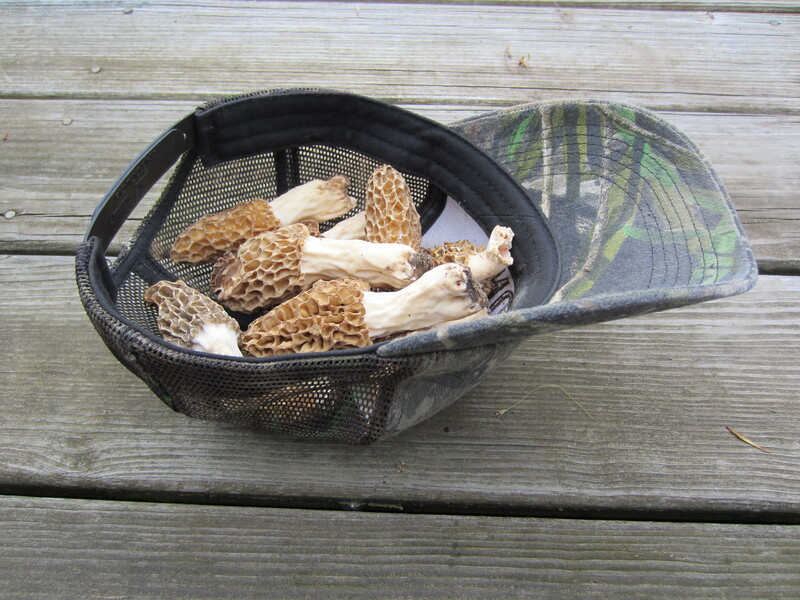 But there are people out here in Central Eastern Illinois who take their mushroom hunting very seriously. When the time is right, they take off from work and head into the forests. Seriously. Mushroom hunting is a thing here. The problem for me…a girl who likes to try and aim healthy in all things, is that the common way to cook these mushrooms up is to batter them, and then fry them in butter. They’re so rare that you won’t find many recipes out there that include them. In fact, I’ve only seen dried morels at the grocery store and they cost a fortune. And I can’t imagine dried mushrooms being very good (though I’ve never tried them…hmm, maybe an experiment for our test kitchen). So I compromised. I didn’t batter them, but I did fry them in butter. They were delicious! Serves me right for not using light butter, however. When I went to log my food for the day, turns out that 1 Tbsp of regular butter is over 100 calories of fat. Sad day. 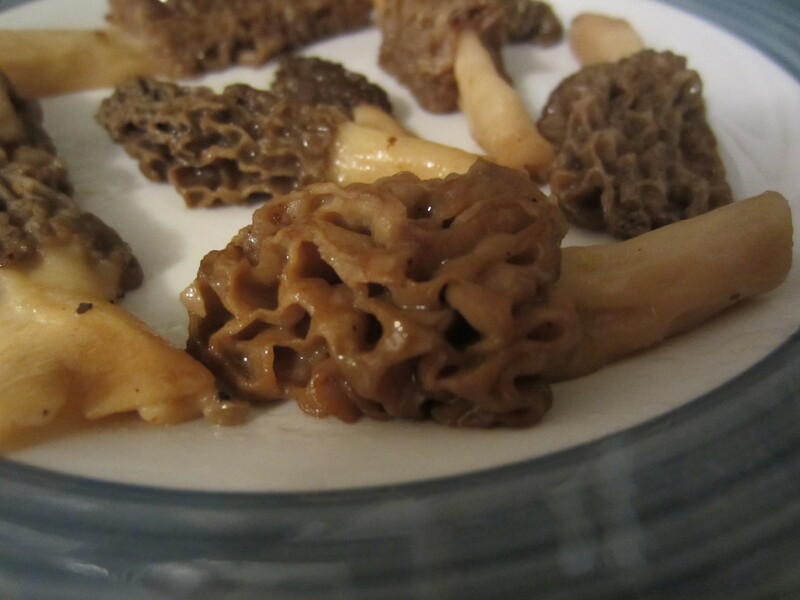 If anyone has any creative recipes for morels that are worthwhile…in other words, worth using the morels you only get once a year…please, by all means, share! Oh, morels are worth the calorie splurge! We never battered them, just fried them gently in butter. So delicious. I miss hunting them, since I don’t know the spots to go around here–once you spot one, Kathleen, you’ll suddenly discover you can spot them regularly! It’s like magic. Those look weird. I want to try them. Previous Previous post: Did I Mention I’m a Reenactor? Next Next post: New to SweetPeas and Soybeans: Weight Loss Tips! To start…drink more water.